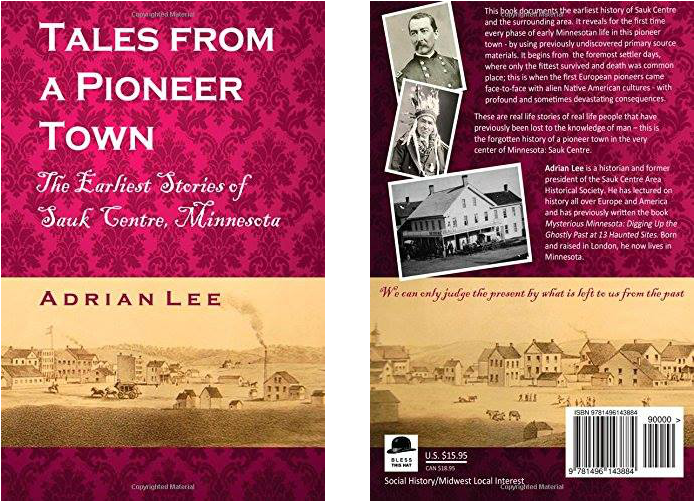 This book documents the earliest history of Sauk Centre and the surrounding area; it reveals for the first time every phase of early Minnesotan life in this pioneer town - by using previously undiscovered primary source materials. It begins from the foremost settler days, where only the fittest survived, and death could literally be around the next corner - if the weather went against you or a wild animal crossed your path. This is when the first European pioneers came face to face with alien Native American cultures - with profound and sometimes devastating consequences. Their stories are of unwavering bravery, mixed with the worst possible atrocities; where friendships were forged deep and acts of unique kindness were shown in the darkest of times - where tears of joy could turn to tears of grief and back again in the blink of an eye. The tales I have uncovered have their origins in oral traditions passed down through many generations; they are corroborated by the earliest newspaper articles, letters, military documents, and even the essays of Sauk Centre school children – when asked to interview their grandparents at the beginning of the last century. These are real life stories of real life people that have previously been lost to the knowledge of man – this is the lost history of a pioneer town in the very center of Minnesota: Sauk Centre. If you would like to order an autographed copy, use our "Contact" form! July 10 and 11, 2015: Adrian Lee will be speaking at, and also available for book signings, at Lakes Area Paracon, which begins Friday, July 10th 7pm. Saturday, July 11th - Adrian's presentation are at 10 am and 4 pm.